Liverpool returned to winning ways in the Premier League with a 3-0 home win over Bournemouth, with Jurgen Klopp going full-strength in his team selection. After the highs of Champions League progression, it was back to the bread and butter of domestic football for the Reds, who still need more points to assure themselves of a top-four finish. 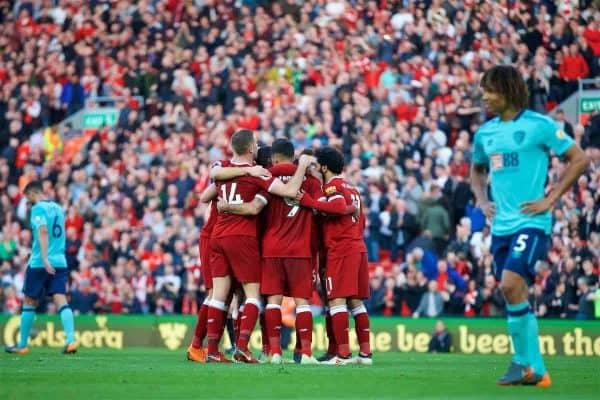 Klopp naming a strong team was no surprise for that reason, with a full week until the next league game, and a professional performance saw the Reds clock up another crucial victory. Liverpool were never troubled by the Cherries in truth and the scoreline could have been far higher by the end of 90 minutes. But who stood out for the media and statisticians? 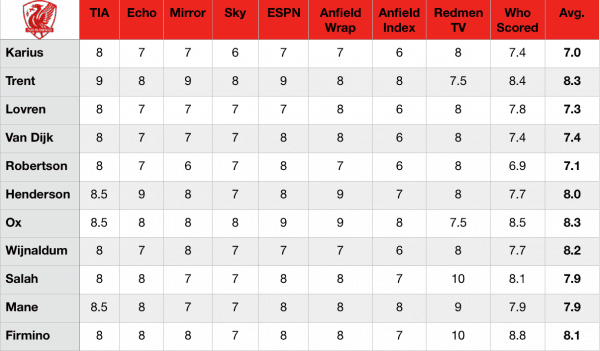 Below we compare our ratings with those from the Echo, the Mirror, Sky Sports, ESPN, The Anfield Wrap, Anfield Index, The Redmen TV and WhoScored. It’s no surprise to see every player scoring impressively, with every player recording an average of 7.0 or higher across the board. Two stand-out performers came from the right channel, where Trent Alexander-Arnold and Alex Oxlade-Chamberlain (both 8.3) shared top spot on the average ratings. It’s notable, though, that the Reds’ entire midfield scored highly, with Jordan Henderson (8.0) and Gini Wijnaldum (8.2) significantly aiding the first-half press which left Bournemouth utterly unable to escape their own half. Each of the forwards found the back of the net and Sadio Mane (7.9) was largely preferred as a key performer by most publications. 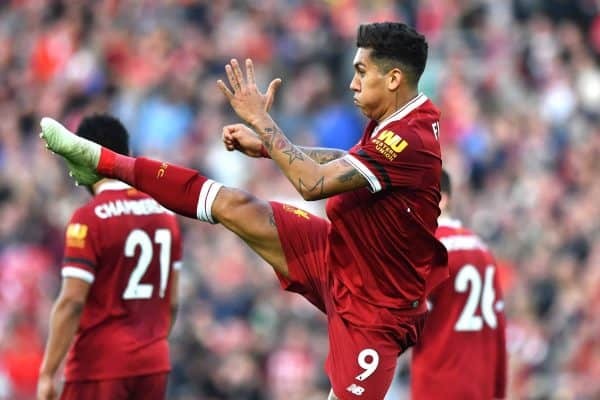 Roberto Firmino (8.1) just pipped him to top spot for the front three, though, partially thanks to higher ratings from stats outlet WhoScored and the on-camera rating from The Redmen TV, which were hijacked by fans outside Anfield! Andy Robertson was the only outfielder to pick up more than a single six out of 10 rating in what was a quieter than usual afternoon for the left-back. That said, four of the back five were awarded six by Anfield Index’s Olli Emmerson, despite another clean sheet. Another three points wrapped up for the Reds point toward, hopefully, a comfortable run-in for the Premier League, as all eyes begin to turn toward next week and a critical couple of days. Klopp’s team face West Brom next weekend, three days before the first leg of their Champions League semi-final against AS Roma.